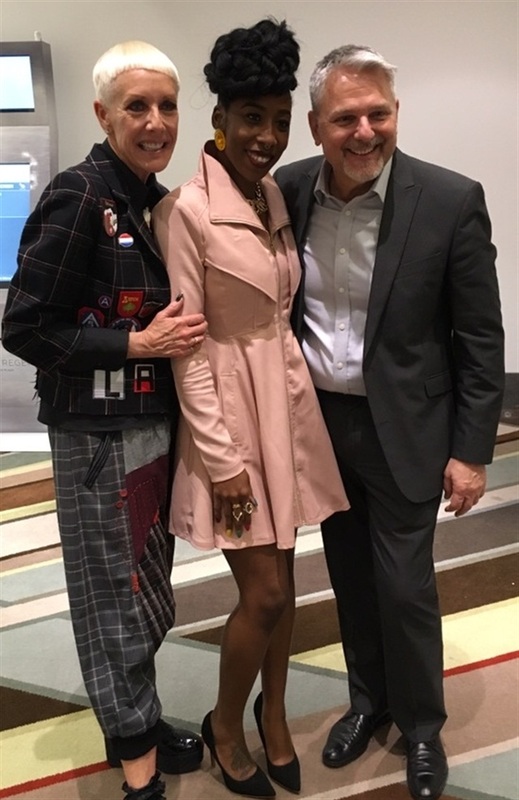 Two members of the NAILS staff were so excited to join NTNA Season Two winner Lavette Cephus and CND's Jan Arnold for the Cosmetologists Chicago Board Meeting Friday evening before the show's start on Saturday. CND represented the nail category, with Arnold speaking about the Beauty Changes Lives foundation, NAILS Next Top Nail Artist, and CND's new launches: Spa and Creative Play. Arnold even invited Cephus to address the board. The NTNA winner discussed what the competition meant to her and what being a nail professional is really all about. Arnold also introduced a video clip from this season's Top 3 who introduced themselves and discussed the importance of the competition. After the presentation, guests snacked on CND Spa-inspired desserts and were offered mini services by CND educators. This event is a significant one for CND, as it was at this gathering six years ago that the brand introduced Shellac.